Natural fieldstone has a beauty unmatched by synthetic or artificial materials. For this reason, natural fieldstone continues to increase in popularity among home buyers and home builders, and is used in many commercial applications as well. Whether it's in office buildings or homes, stone adds a subtle elegance and tranquility. Natural stone can also cause the value of the structure it enhances to appreciate. Landscaping with fieldstone provides a connection between a house and the natural landscape. 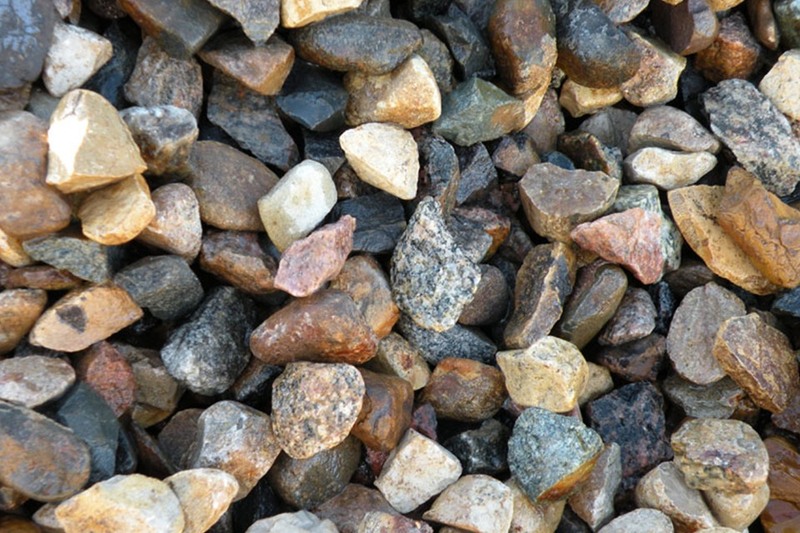 Fieldstone makes a virtually maintenance-free landscape. 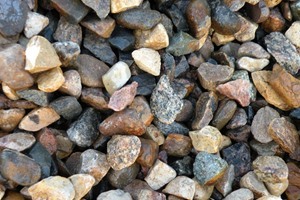 Our rock can be used for retaining walls, fountains, pools, waterfalls, rock gardens, lawn ornaments and masonry projects. You are only limited by your imagination. 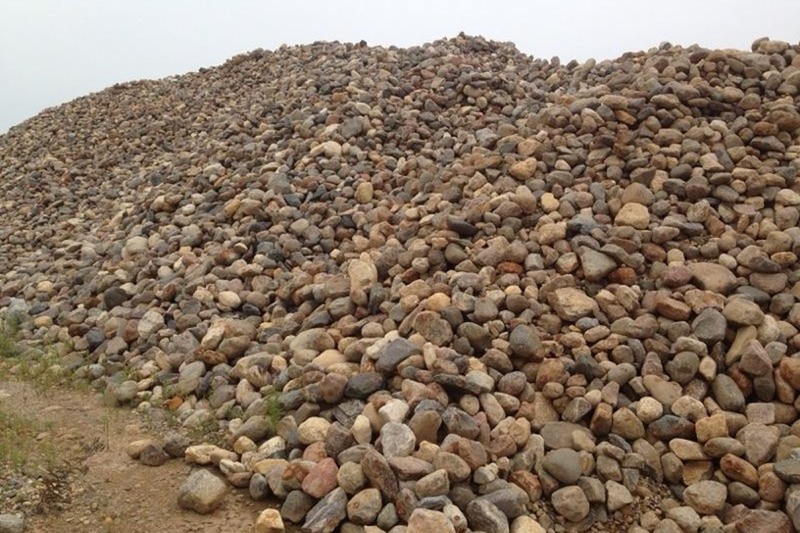 Our fieldstone is mostly granite, primarily golden, orange and brown on the exterior with varying colors such as black, pink, white, green and gray. And, if broken open, it exposes a rainbow of granite sparkling colors. Granite is a very durable rock, capable of withstanding centuries of weathering. Because of the unique beauty and quality of our rock, we encourage you to consider granite fieldstone for your next project! This rock is screened out of a large glacial deposit as we produce sand and gravel. Because our rock is mined from our pit relatively free of fines, it proves to be an excellent rock for most types of use. 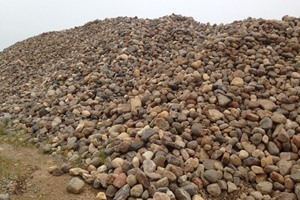 Our large inventory of rock is carefully sorted by size for consistency, so each delivery is loaded to meet your specifications. Since 1982, we've taken pride in personally helping our customers establish their project needs. 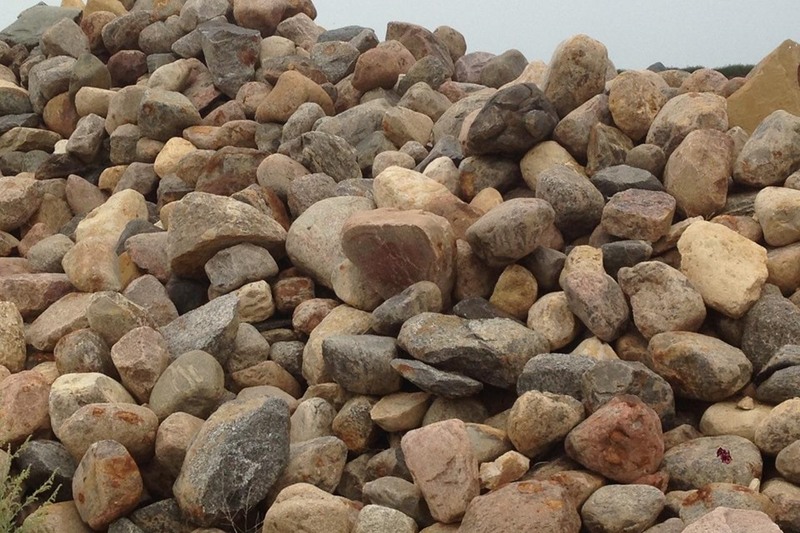 We have supplied rock for masonry buildings, retaining walls, landscaping and South Dakota DOT projects. Because we are conveniently located 30 minutes from I-90 and I-29, we are able to deliver rock to your location, regardless of distance. 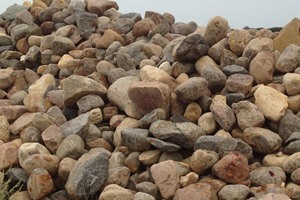 We also have loaders and excavators to facilitate larger rock placement if needed. Please email us or call us at 605-256-4195 for any questions regarding the products and services we offer.